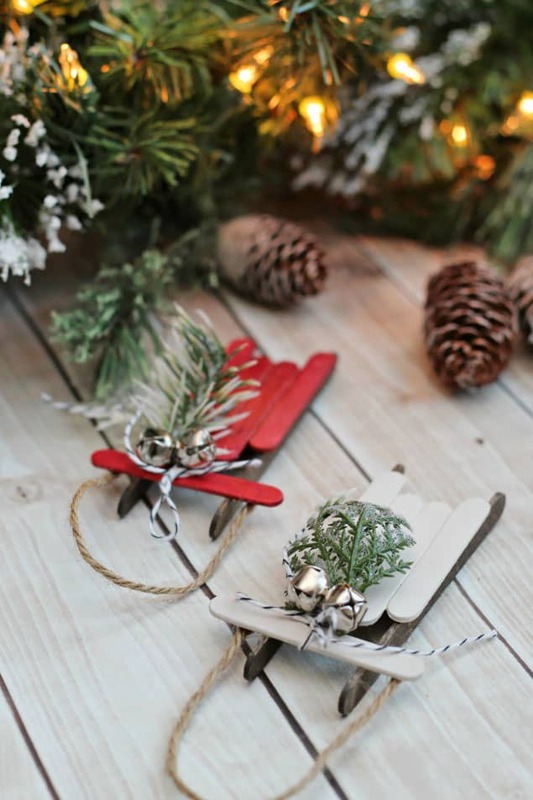 Have some fun this Holiday season with these easy to make DIY Christmas Ornaments for kids! 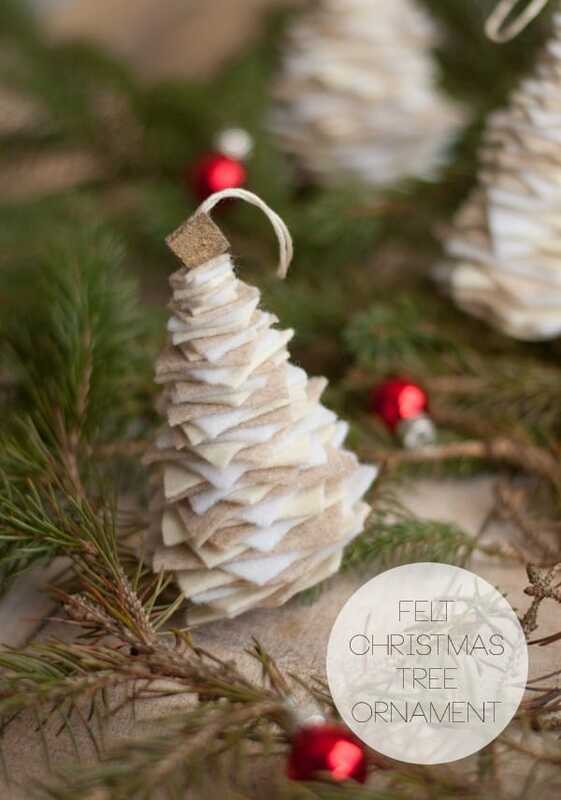 This list of DIY Christmas Ornaments is perfect for anyone! The weather is getting chilly outside, leaves are starting to fall and the Pumpkin Spice Lattes are out in full swing! 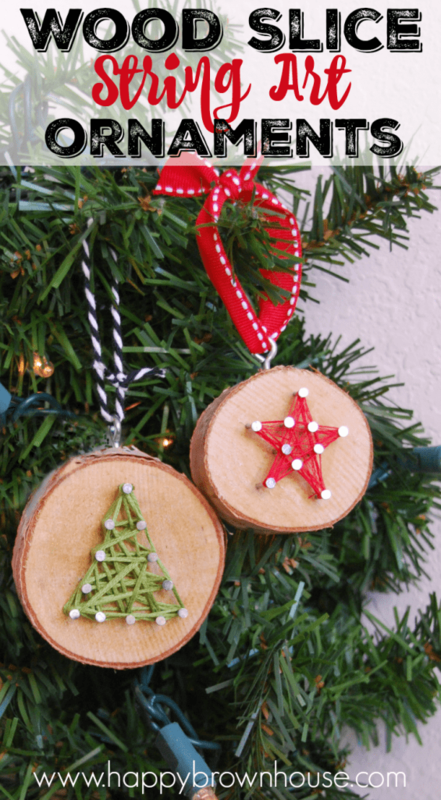 Now is the perfect time to get the kids busy with making their very own DIY Christmas Ornaments. To me, the best ornaments on my tree are the personal ones. The one with my dog’s pawprint who passed away. And the ones my daughter has made me throughout the years in school. With her little handprint and smiley face glued to it! 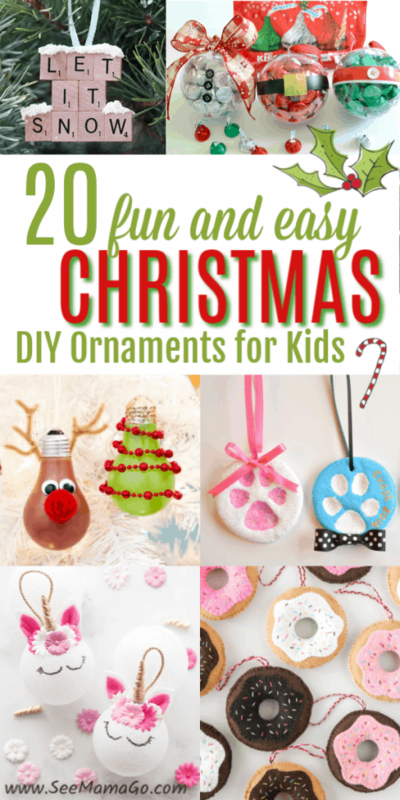 And if you don’t want to just stop with ornaments, check out these super fun Christmas Crafts for Kids! The reindeer pots are my favorite, and make a great teacher gift too! 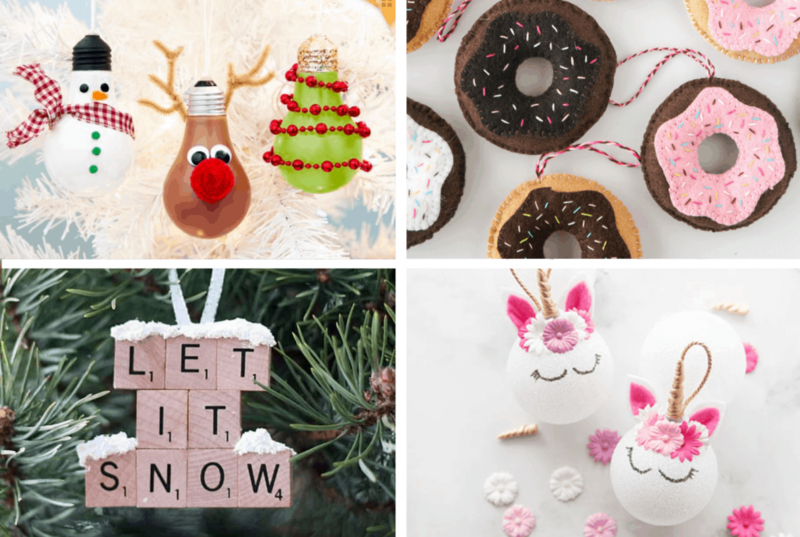 DIY Sprinkles Ornaments. This is a great way to use up those almost-empty containers of sprinkles. This DIY Christmas Ornament is easy to do, and the kids will love making them as well as eating a few sprinkles here and there! Popsicle Stick Sleds. These little sleds are so adorable to me. They even look so nice, they would make great gifts for family and friends. Write your kids names on them for more personalization. Felt Christmas Tree Ornaments. Perfect if you have any felt laying around from previous projects. I actually really like how these are made with white and tan felt, but really you and the kids can make them with any colored felt they want. 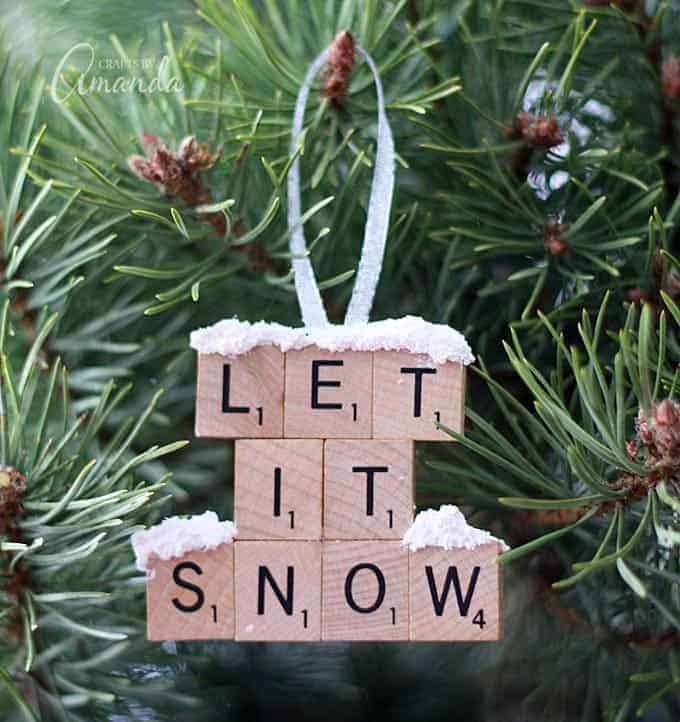 Let It Snow Scrabble Tile Ornament. I love this creative idea! And seriously how simple is this to make? The hard part might be finding the letters! Gone Camping DIY Ornament. We camp a lot in our family so these little ornaments are just perfect for us. I love that there are a few different ornaments to choose from. So if you have more then one kid, they can each make their own unique ornament. 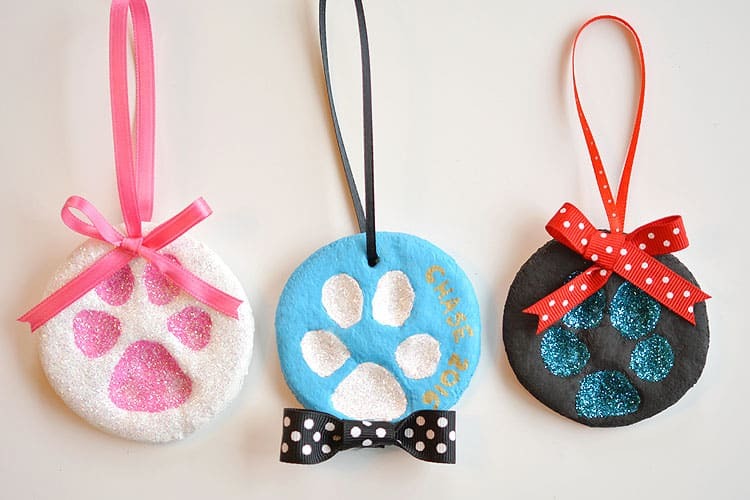 Paw Print Salt Dough Ornament. We all have that special pet we love to take paw prints of. This year I’m going to surprise my daughter and let her do her guinea pigs paw prints! Get creative! 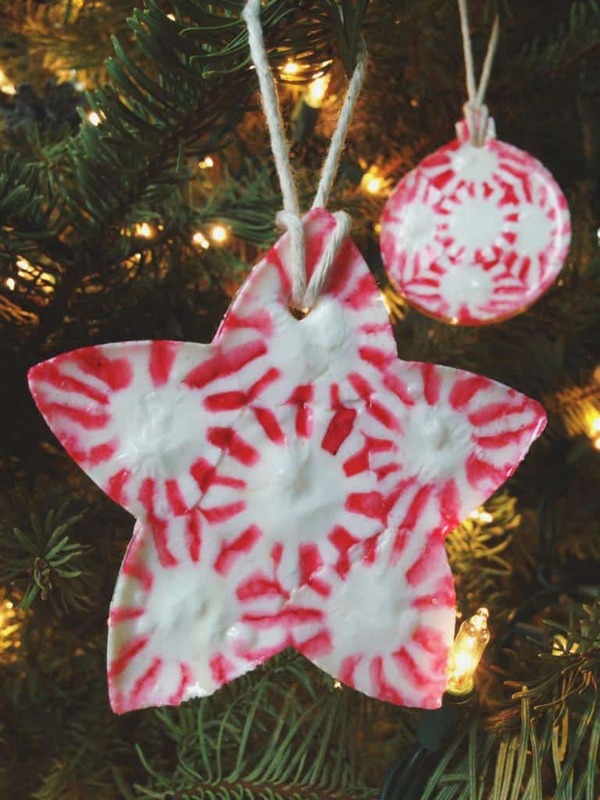 Peppermint Candy Christmas Ornaments. Eat one, use one, eat one, use one. That’s how it goes in our house. But seriously, if you can feed kids while they work, they are usually much happier! 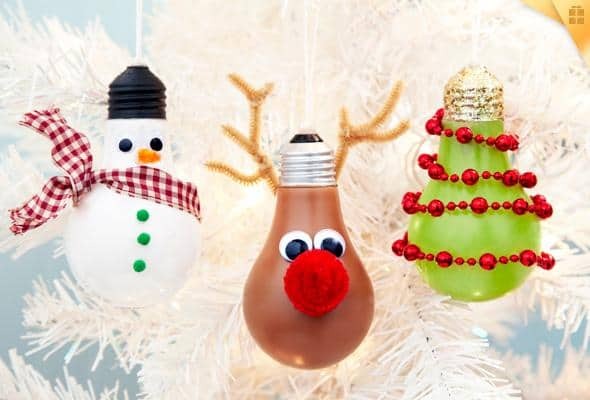 Light Bulb Ornaments. When I first saw these I thought they were just the cutest things. 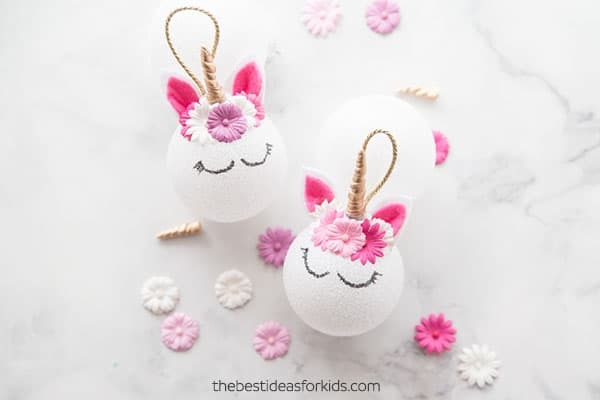 Kids have to learn to be gentle with these DIY Christmas Ornaments to not break them, but it’s so worth it in the end! Rudolph Christmas Ornaments. You can easily find these supplies at your local craft store and really its just a matter of gluing them all together. Which makes it a super easy DIY project for kids. 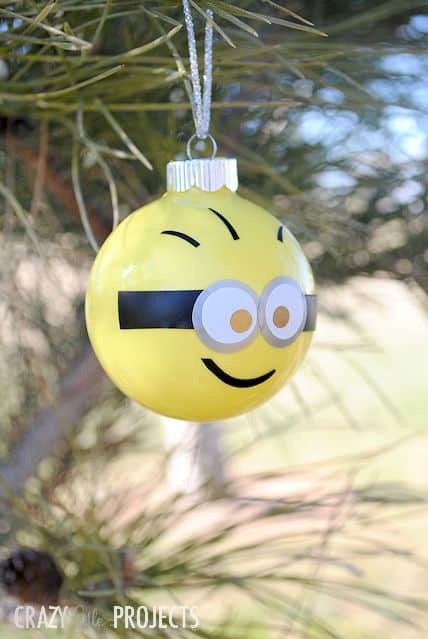 Minion Christmas Ornament. Minions are everywhere lately. 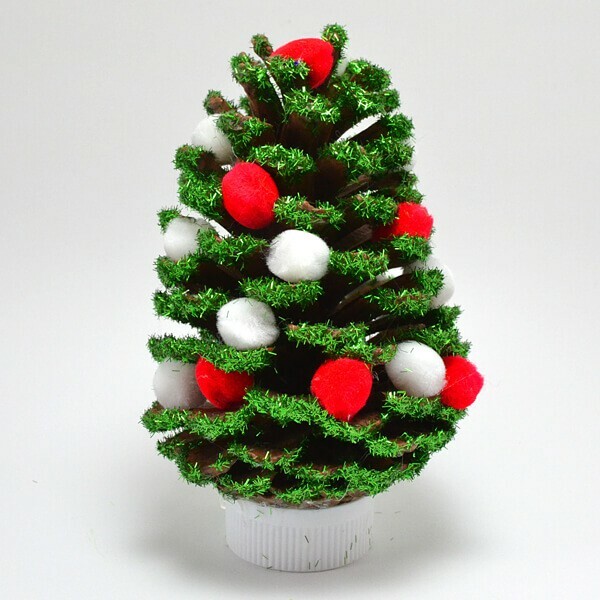 So add a few to your tree! The nice thing about this is kids can make as many minions as they want because there are so many minions anyway! 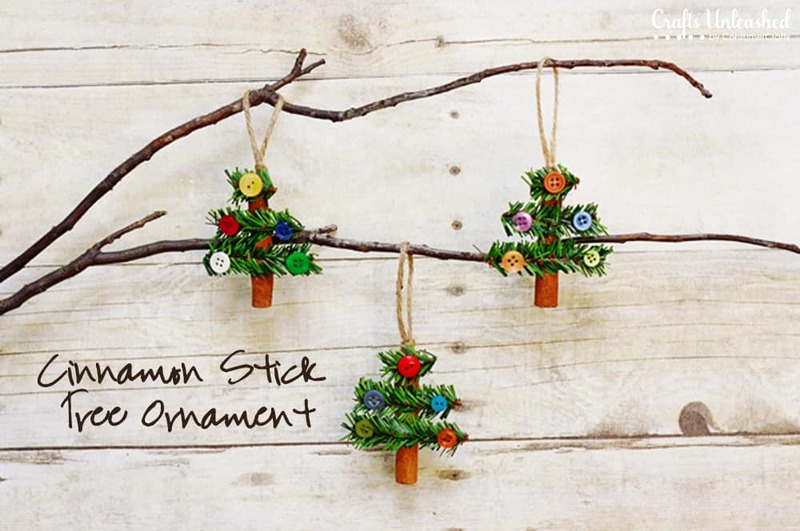 Cinnamon Stick Christmas Tree Ornament. 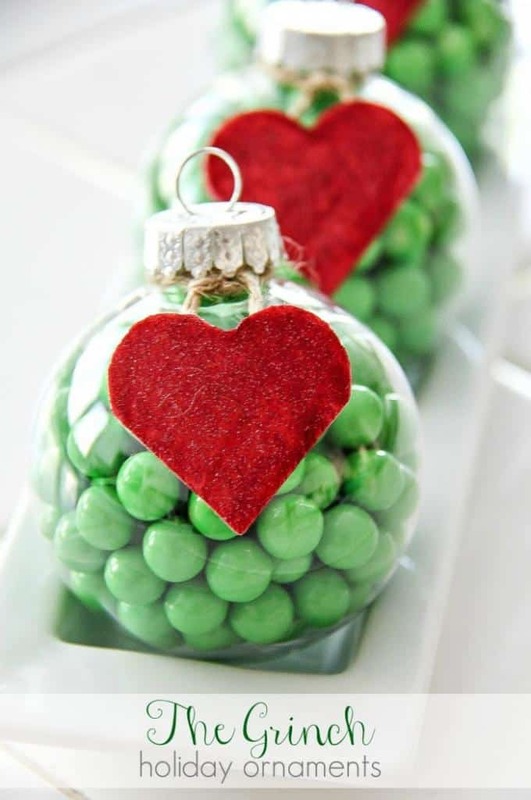 Here is a great DIY Christmas Ornament Kids can make that will not only look cute but will smell super great too. 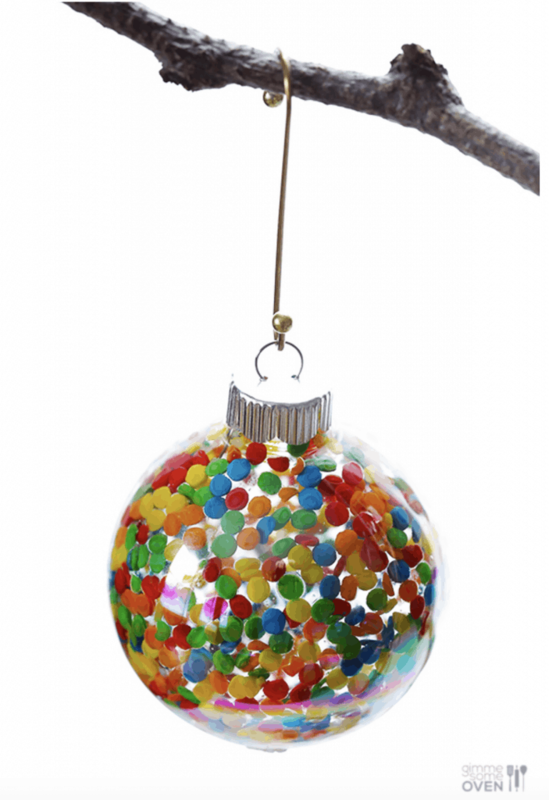 DIY Glitter Ornament. Just a little glue and some glitter and a few clear ornaments and you have another great DIY Christmas Ornament project for kids. They can pick out different colors of glitter, and they can make several of each kid. With lights hitting them the right way, these really look great on a Christmas tree. 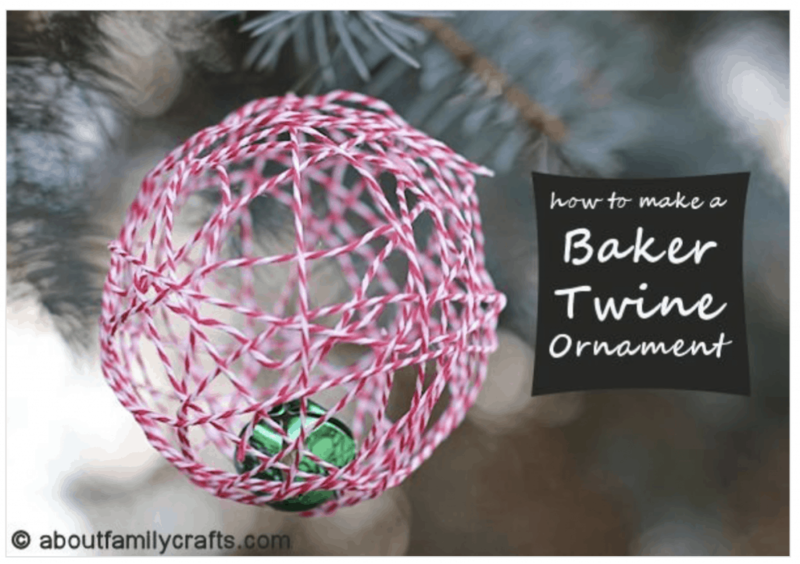 Baker Twine Ornament. So you might have to go buy some bakers twine. But what I love about these ornaments is that you can put anything inside. Have kids put little toys or even messages inside that will make a great memory for years to come. 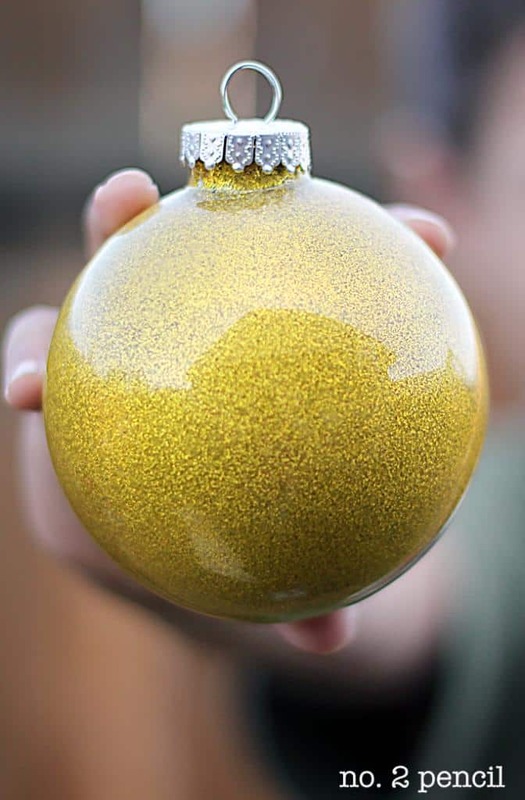 The Grinch DIY Holiday Ornament. I love Grinch projects. And so do kids. These Grinch ornaments are so basic and so easy to design, you can’t NOT make them! What a cute gift idea for other kids too! Wood Slice String Art Ornament. 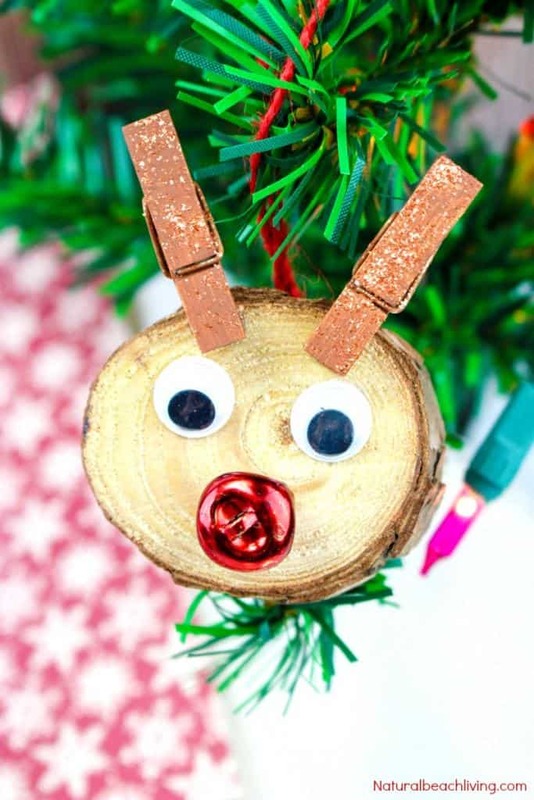 This cute DIY Christmas Ornament will keep the kids happy and their little hand busy. The yarn takes time to wind around each small nail. But they will love creating something so unique. Unicorn Ornaments. Hey, it’s a unicorn! And unicorns are everywhere! My daughters request this year was “Anything unicorn” so this would be perfect! Tea Light Ornaments. These tea light ornaments are seriously so adorable. Who would ever have thought to make snowmen out of tea lights? And the fun part is kids can make different faces and add different accessories and make a whole snowman family! 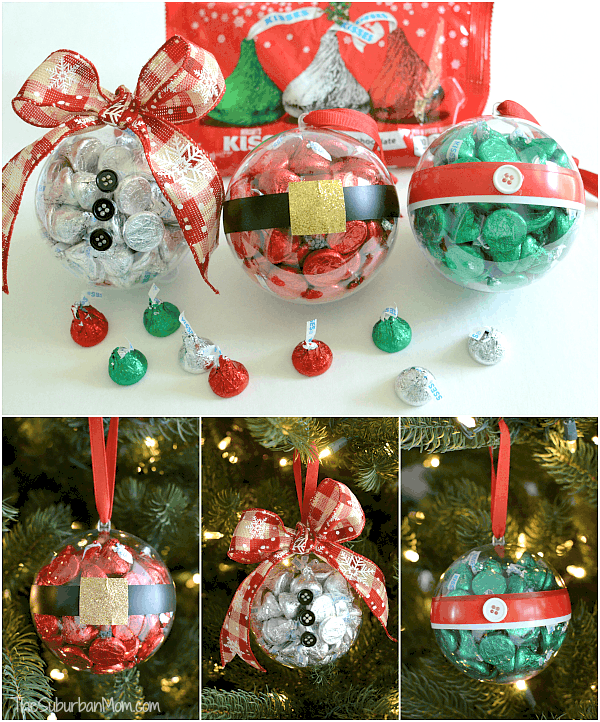 Hershey Kiss Ornaments. 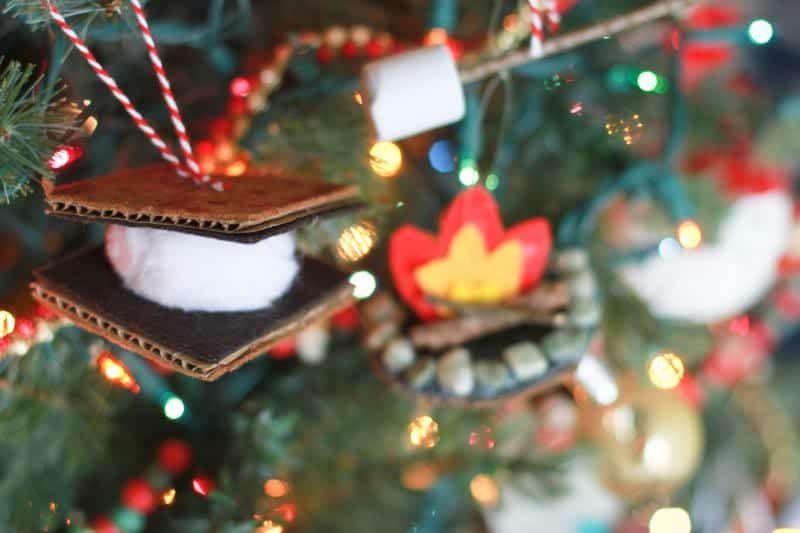 I love that these ornaments are not only super easy to make (great for the little kids) but they make great gifts too. Think teacher gifts here! 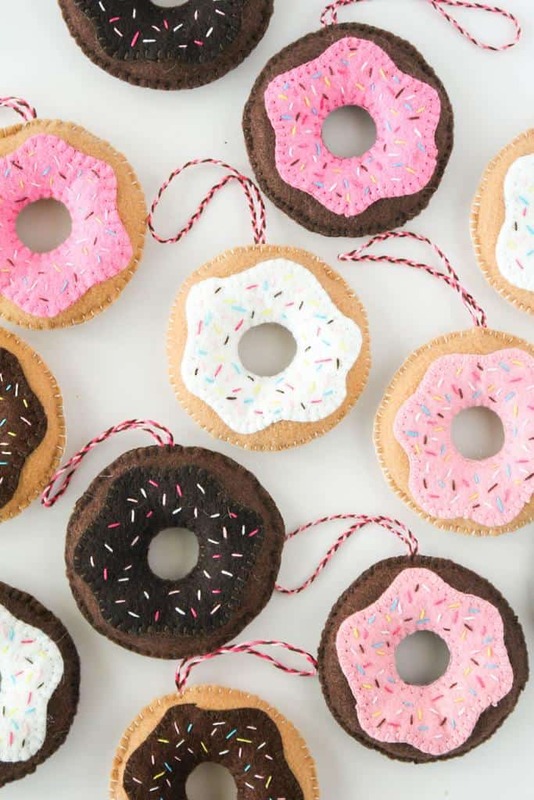 Hand Sewn Donut Ornaments. Anything sewing intimidates me, but this DIY pattern is actually really easy to follow along too and even young kids can sew this easy project. 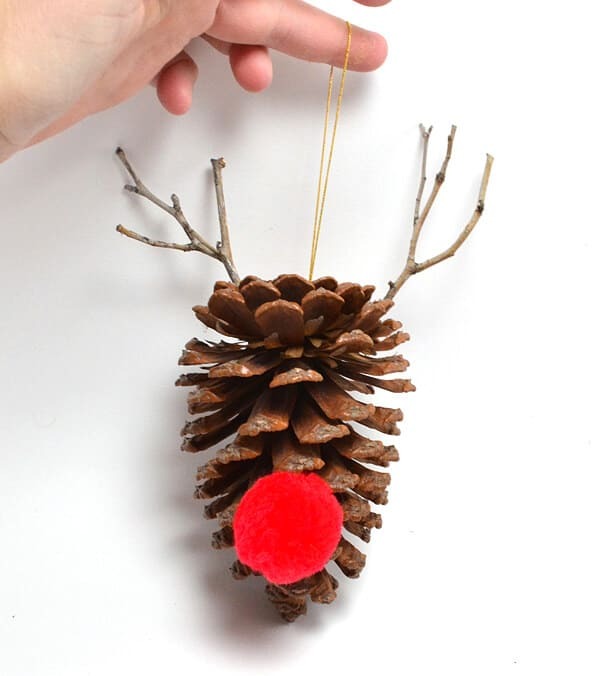 Simple DIY Pine Cone Ornaments. Finding pinecones is not very easy when you live in the desert. But fortunately, craft stores have started carrying pinecones you can buy.